I don't know about you but January seemed to stretch on forever! The weather was cold and gloomy and we've all had various germs at some point or another, it really did feel like the longest month. 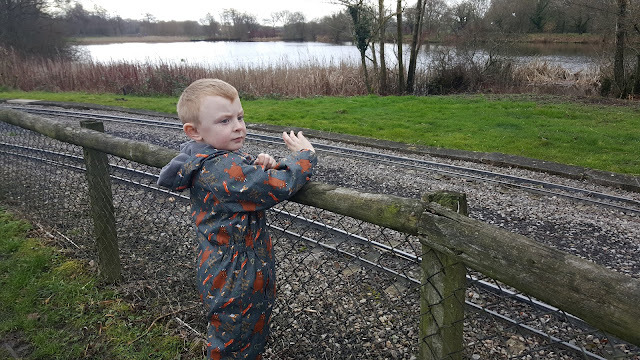 Last Sunday we decided to get our coats and wellies on and get out for some much needed fresh air - and as luck would have it, the sun was actually peeking through the clouds! 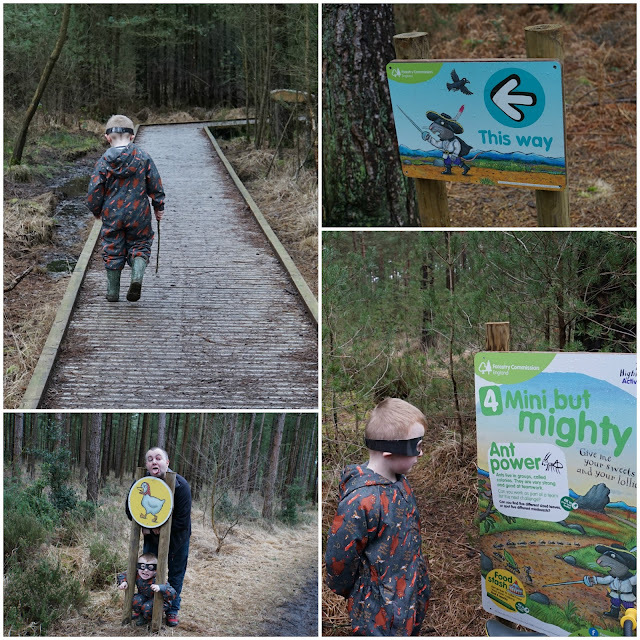 We decided to head over to Moors Valley Country Park which is a lovely woodland area not far from our house. It's somewhere we visit a few times a year and last time we went we were Gruffalo spotting! This time however we were there to try out the brand new Highway Rat trail which is running from 20th January right through to November. We love Julia Donaldson and ever since we watched the Highway Rat at Christmas, Elliot has loved the story even more! The trail is 2km long so perfect for little legs but very muddy in places - not ideal if you're pushing a buggy. Although perfect if you're 5 and just want to squelch in the mud! The trail took us through the forest and much like last year's Gruffalo trail, it took a different route to what we'd normally take. This is great as we got to see parts of the forest we wouldn't normally walk through and kept things interesting. 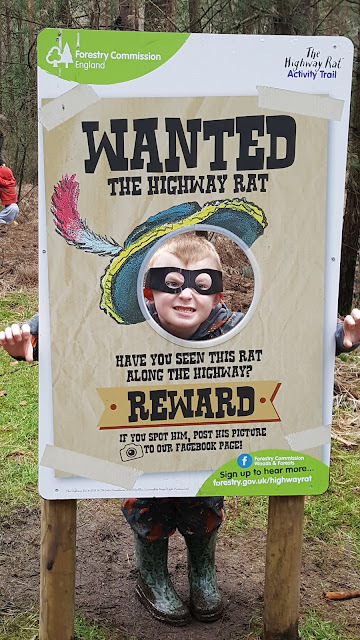 Elliot really enjoyed spotting the rat-themed panels along the route and he had lots of fun doing some rubbings with the crayon and sheet that was in the activity pack. The trail finished up by the play trails so we were able to detour across and let Elliot have a climb after he'd posed for his mugshot! After a quick picnic we had a walk down towards the trains and had a quick play in the adventure play ground but the weather had turned and the rain had started so we thought it might be a good time to head home. We had a wonderful day out and it definitely did help to banish those January blues! We keep meaning to head off to this one, we love Moors Valley. Looks good fun! Eventful! My 3 year old will love it. Looks like an amazing trip! I love your son's expressions. He had the best time there I can tell. I agree with January feeling like theres 75 days instead of 31!!! DIPPY THE DINOSAUR IN DORSET!